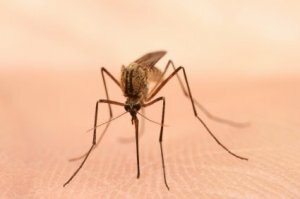 For the big picture on what is being done state-wide, visit http://www.nj.gov/dep/mosquito/index.html which has many resources. For those of you with larger properties or properties that include wetlands, this is a particularly useful site. Go local at http://www.morriscountynj.gov/mosquito/ to learn what the Morris County Mosquito Commission is doing to keep this pest under control. There are many steps you as a homeowner can take to help control mosquito populations. Plants as well can help repel mosquitoes. Get some suggestions at http://eartheasy.com, search mosquito repelling plants. The students at Alderleaf Wilderness College have lots of experience with this topic – study their plant list at www.wildernesscollege.com, search “plants that repel mosquitoes” and click on the link to the Science Daily study that is published here. Learn more about the bat, which can eat about 1000 mosquitoes a day (or night) at Bat Conservation International (www.batcon.org). You may consider installing a few bat houses in your garden to help with the mosquito problem. Finally – how can plants help you once you’ve been bitten? Many people are familiar with the anti-itch properties of tea tree oil, and stinging nettles. Here is an interesting site that features an ointment made of the plantain leaf – http://www.5orangepotatoes.com/blog/2009/09/01/plantain-insect-sting-and-bite-remedy/.